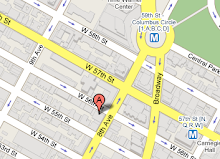 Práctilonga-939: Learn to Dance - Argentine Tango Classes with Santiago Steele in NYC! Originally from the Southwestern US, Santiago Steele has been dancing Argentine Tango since 1997. He has lived and studied for extensive periods in Buenos Aires, where he trained intensively with some of the world’s leading Tango masters, including Mariano 'Chico' Frumboli, Gustavo Naveira, Pablo Villarrazza, and Dana Frígoli. He has been a first-place champion of the California Tango Competition, and as a performer has danced in several Tango shows including renowned choreographer Hector Zaraspe's '¡Tango Tango!' with the Fort Worth Symphony Orchestra, 'Swango,' and 'NY Tango: Piazzolla and Beyond' with the orchestra Avantango. In addition to teaching, Santiago hosts workshops and milongas around the city, including the Practilonga-939 milonga (tango party) & workshop series. His personal style combines technique and concepts from both modern and traditional Tango, with an emphasis on connection, natural movement and rhythmic interpretation. Santiago is currently available for private lessons evenings and weekends.